Welcome to Purplebean Bindery, a one woman studio passionate about making handsome, sturdy, inviting blank books and funky, entertaining, limited edition artists books. A Purplebean Bindery journal is an enjoyable place to write and draw. It will lay open flat without breaking the spine; the page paper is smooth and heavy so it will hold up to serious mark making; the binding is hand-sewn without the use of glue, so it's both decorative and highly functional; the rigid cloth covers will hold up to travel, use and love. I think one of these books might inspire you to record your most delicious thoughts, family stories, devious doodles, elaborate sketches and brilliant plans. 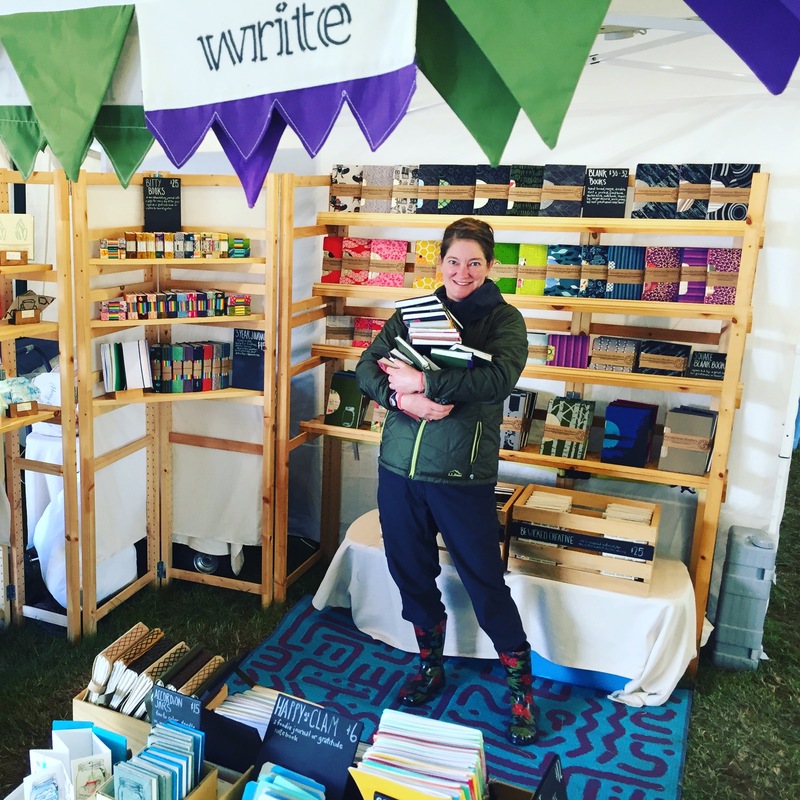 Find Purplebean Bindery books at art fairs around New England, in local Maine shops and galleries, and on Etsy. Keep up-to-date on workshops, fairs, events and sales. Subscribe to our mailing list.